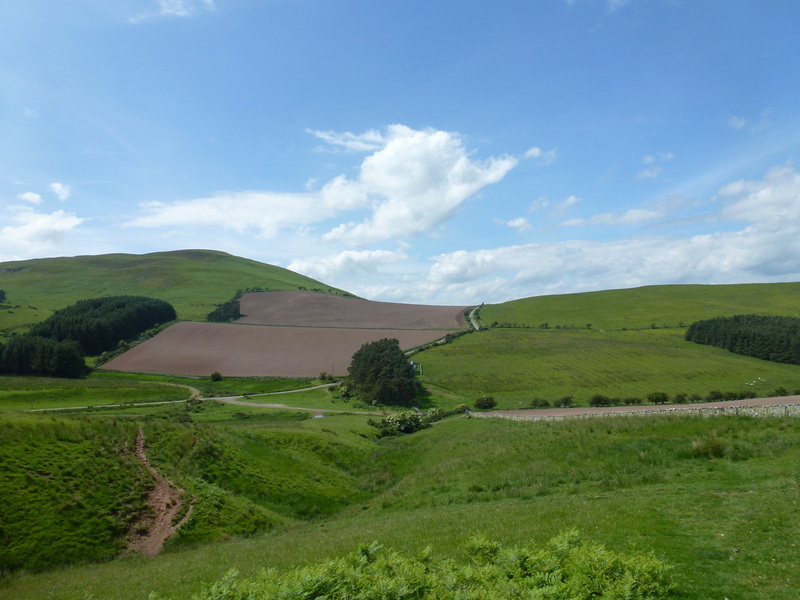 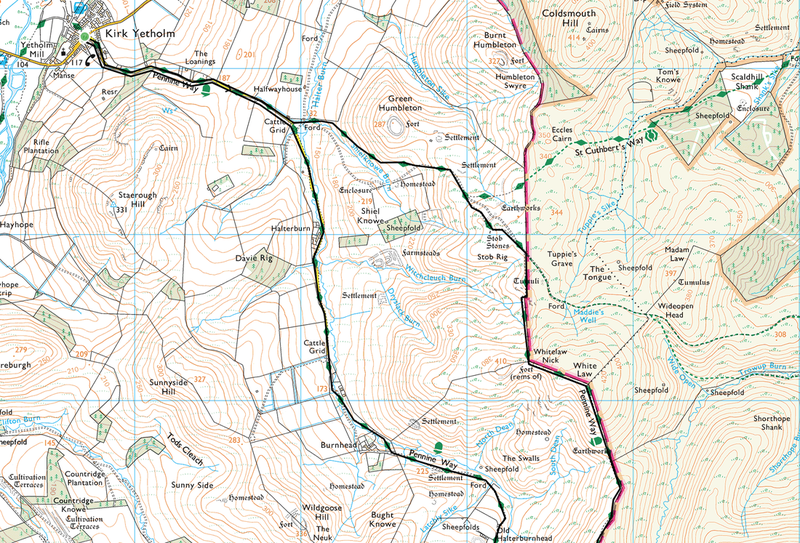 We decided to walk a section of the Pennine Way today from the walks end at Kirk Yetholm up to The Schil via the high route on the way out and returning via the low route. 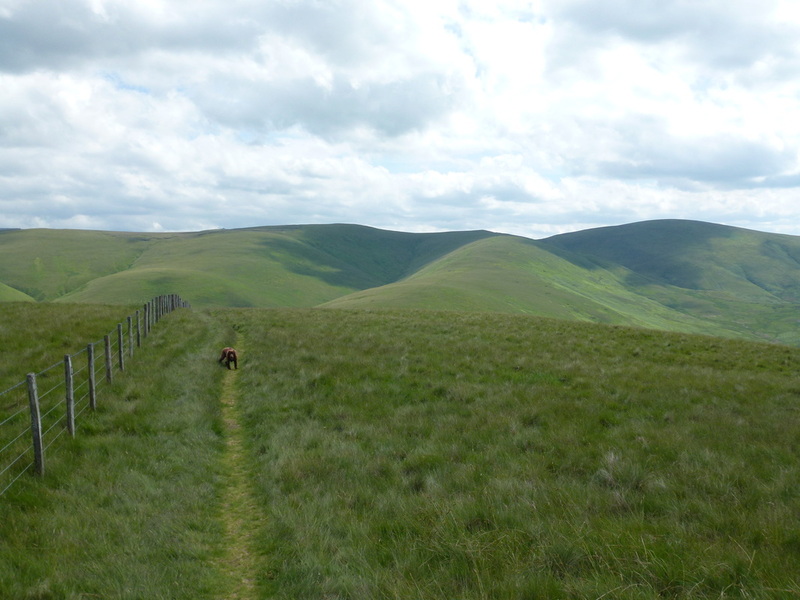 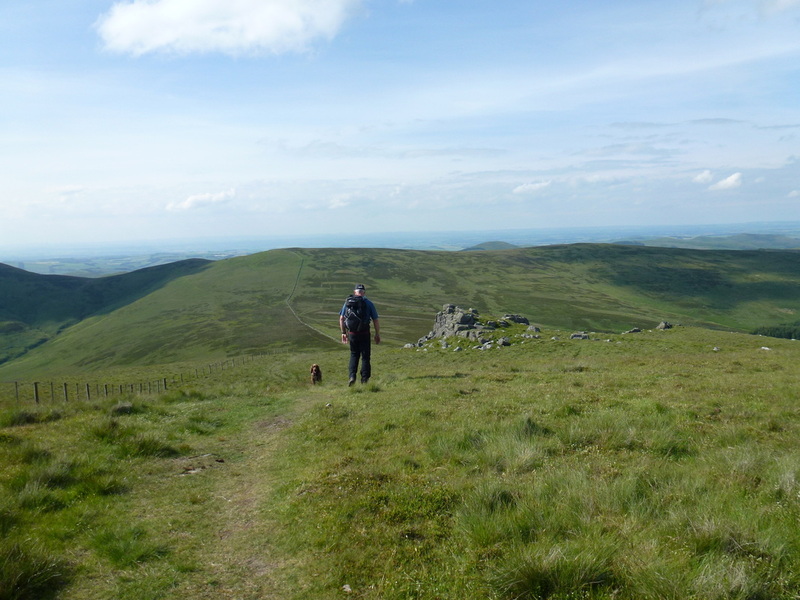 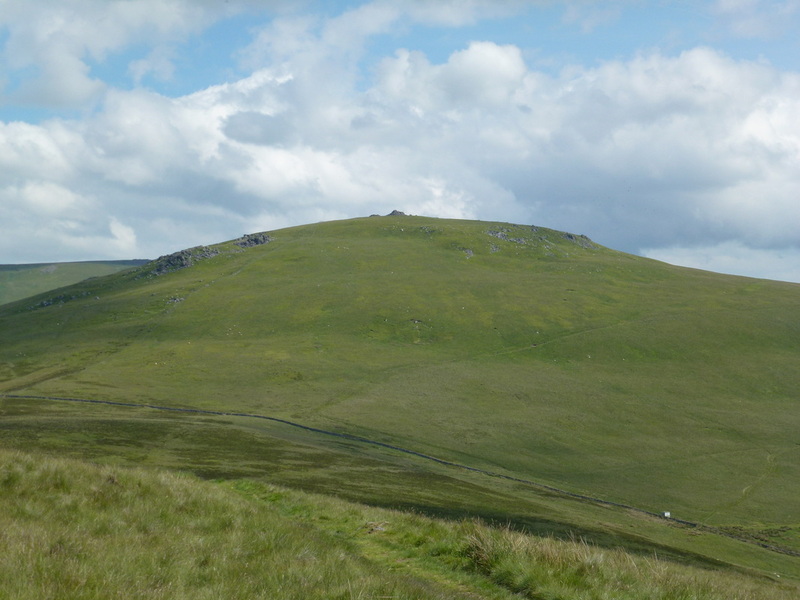 The weather was perfect and we enjoyed solitary walking apart from a couple of Pennine Way finishers we saw on the summit of The Schil. 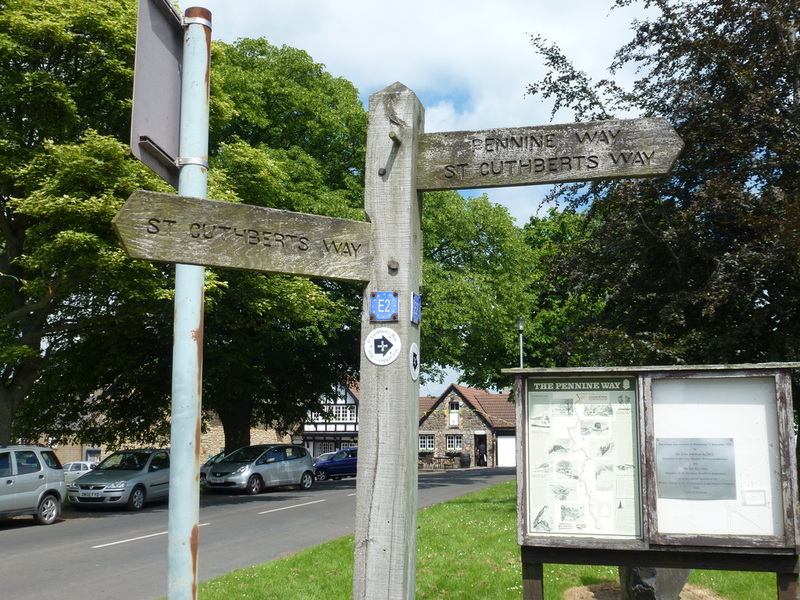 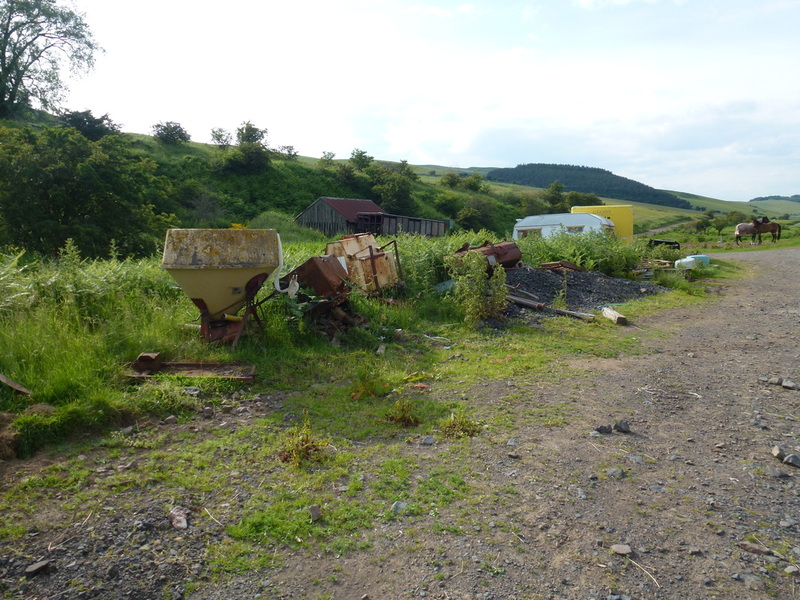 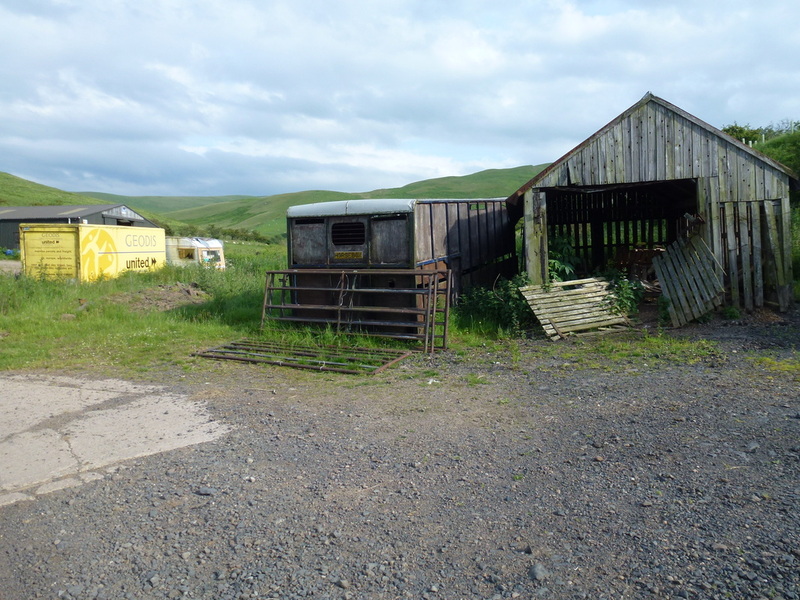 There is plenty of parking in Kirk Yetholm and we left the car near The Border Hotel and made our way out of the village on the combined Pennine Way & St Cuthbert's Way path. 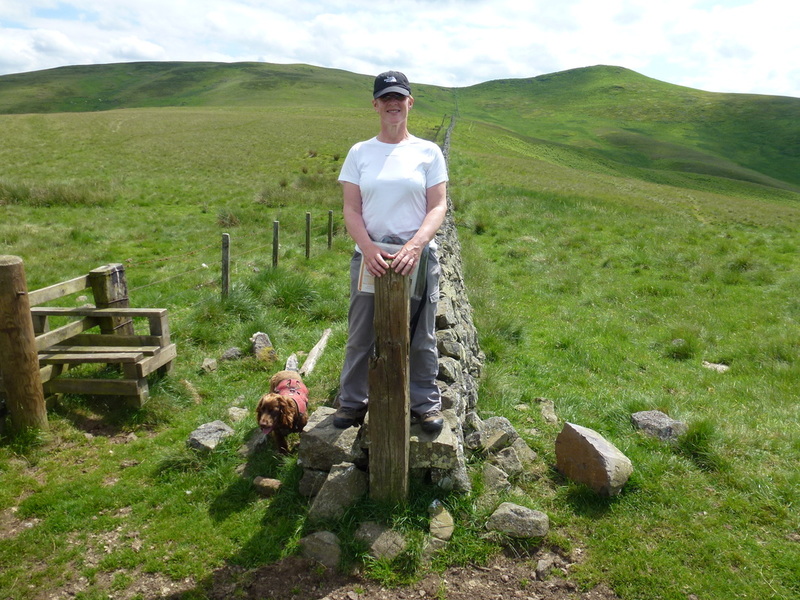 At the Stob Stones the paths split with the St Cuthbert's Way heading off to the left and the Pennine Way moving to the right. 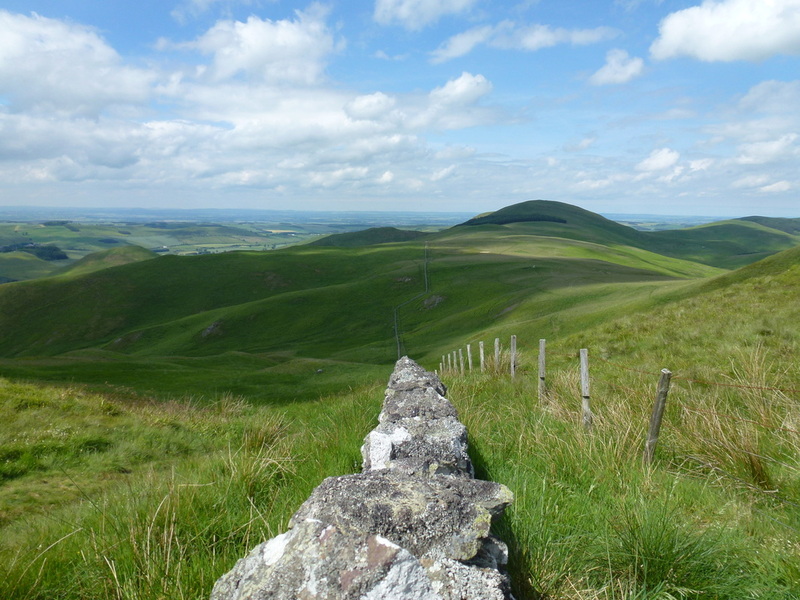 There now begins a glorious walk up to White Law along the border wall separating England from Scotland. 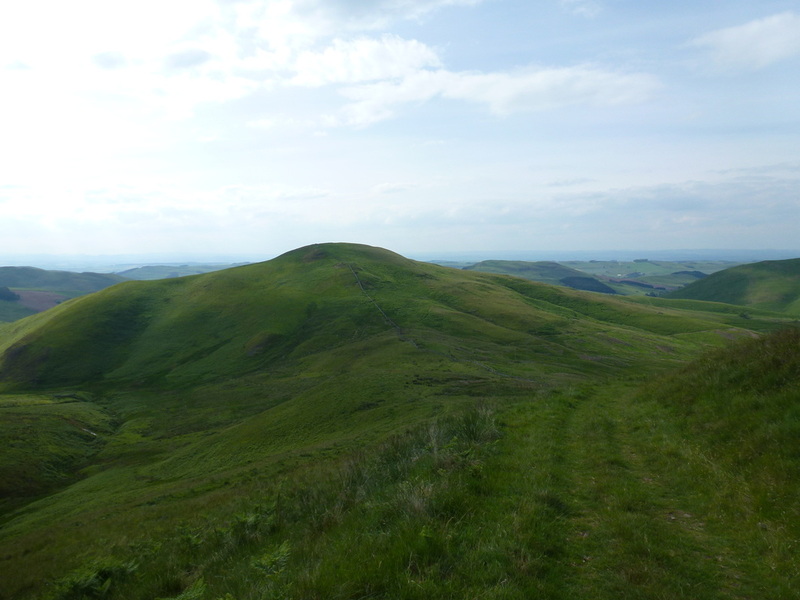 The ridge continues to Black Hag and on to The Schil and there are fantastic views over The Cheviots throughout. 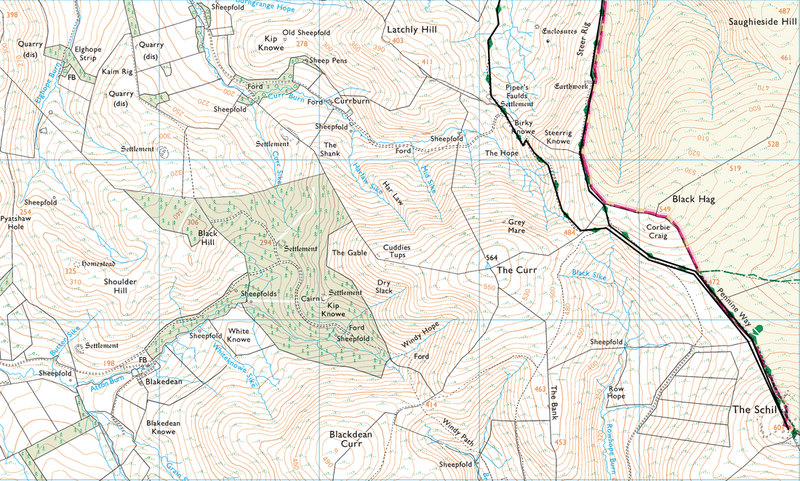 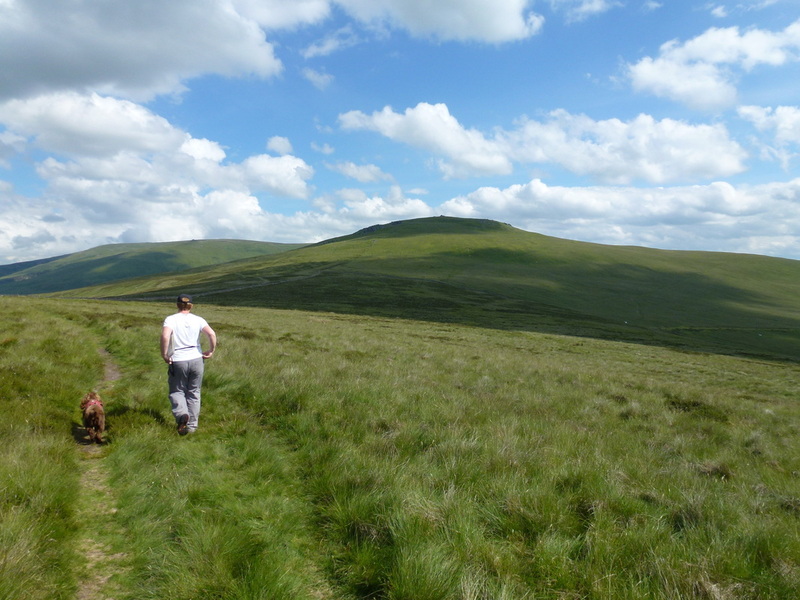 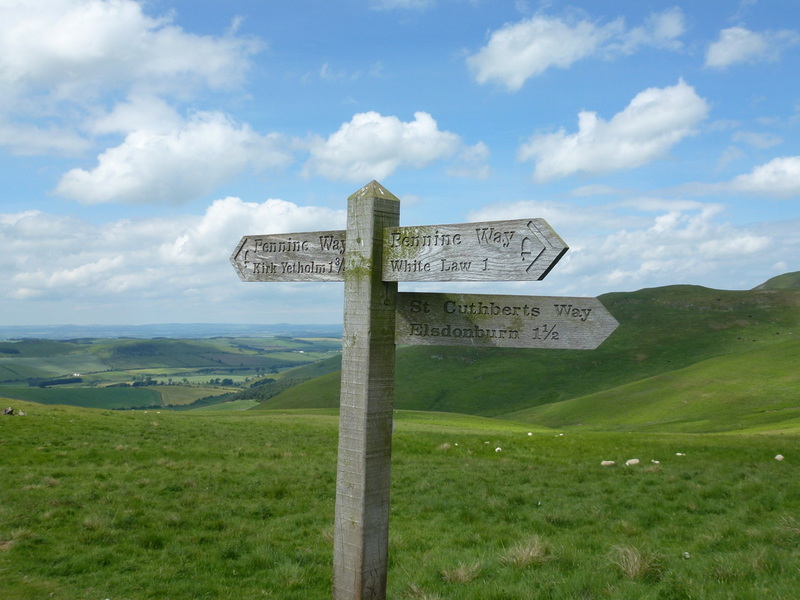 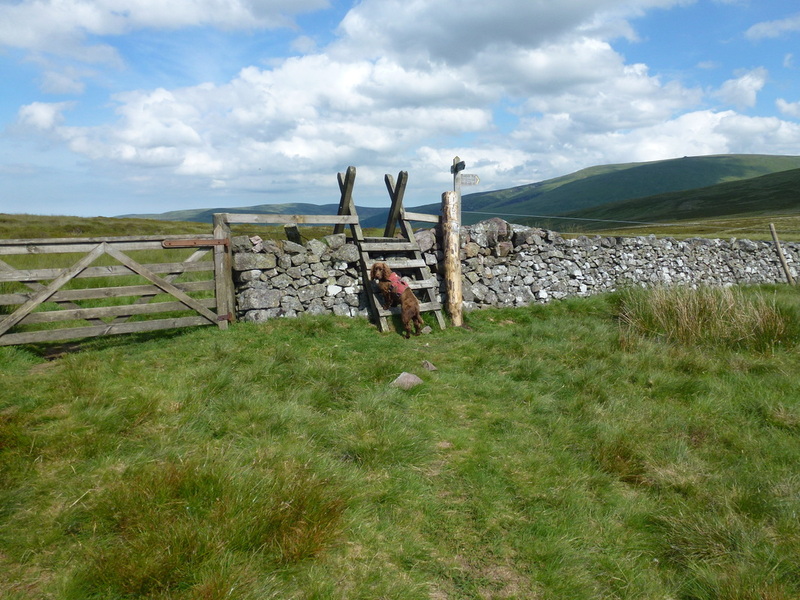 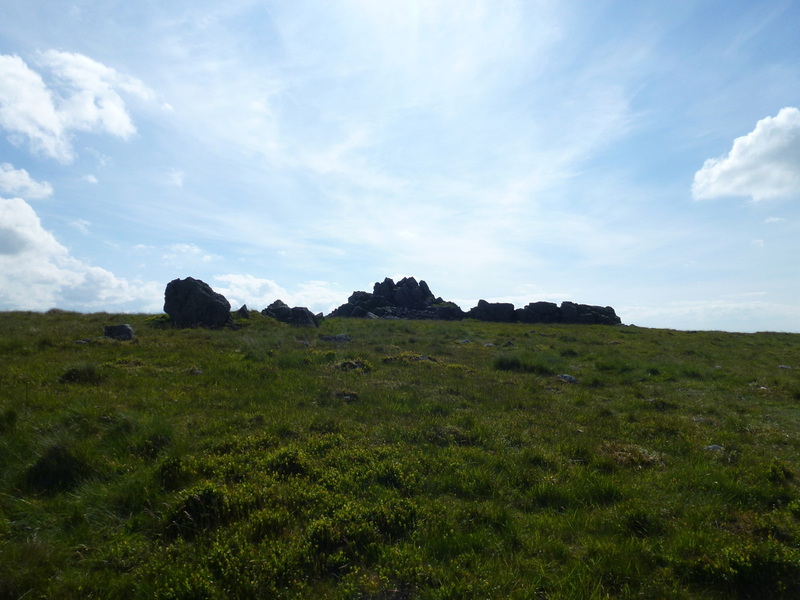 The route returns back on itself as far as Black Hag where we chose to return via the Pennine Way low route which to be honest is not a patch on the high route but is still pleasant nonetheless, apart from a hideously ugly farmyard near the end of the walk. 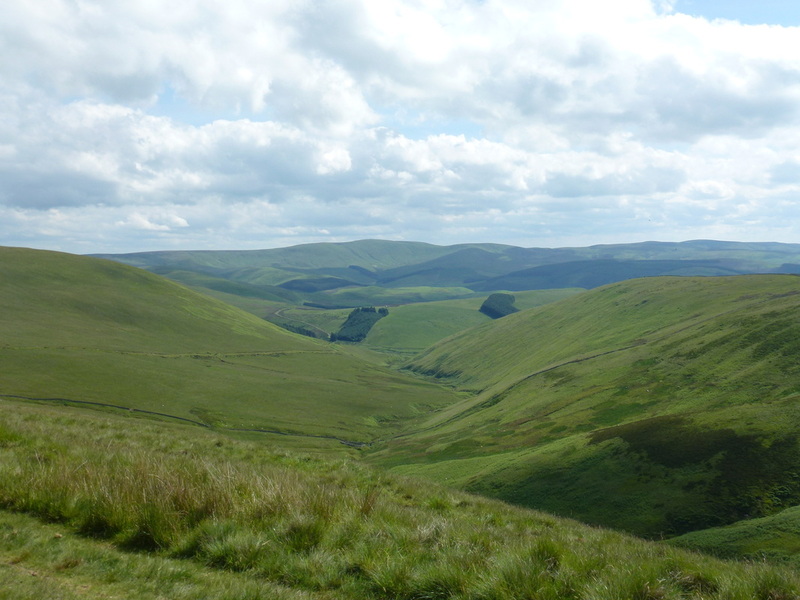 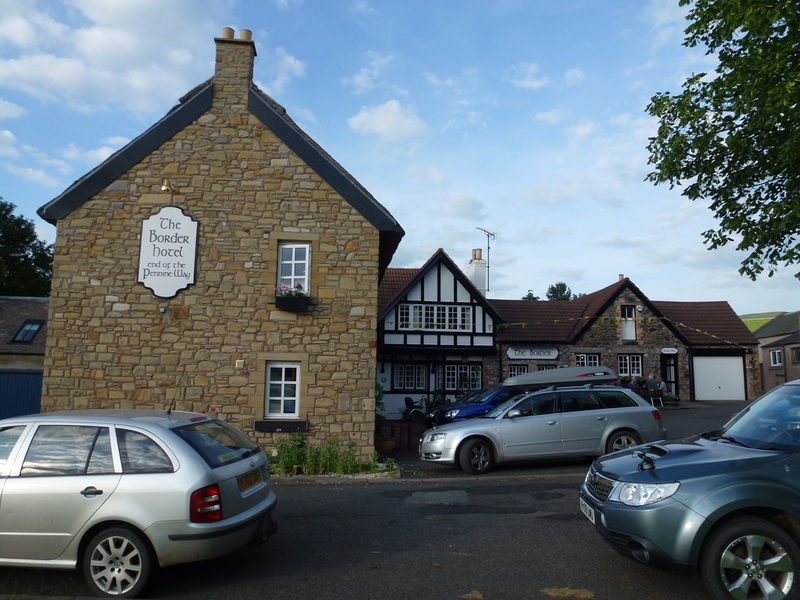 Once back at Kirk Yetholm we availed ourselves of The Border Hotel for a cool drink and a nice supper - a great end to a really super day in The Cheviot Hills. 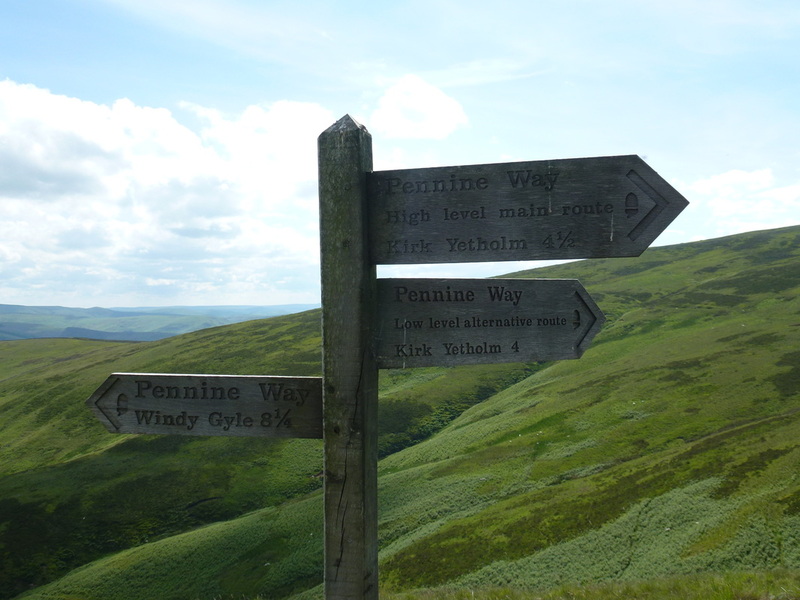 You take the high road and I'll take the low - near Black Hag, Pennine Way walkers have a choice of route for the last few miles of the walk.